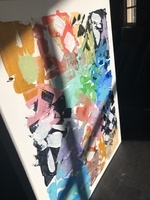 Painting on the floor with sunlight and windowpane outlines. 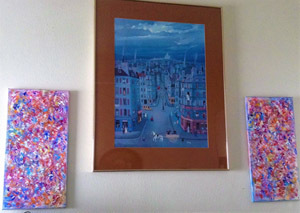 Abstracts in their new home! 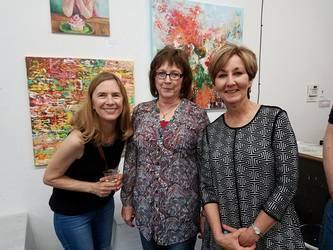 Show at The Bonny Studio in Richardson, Texas. 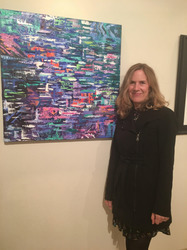 Me and my painting on the left! Honored to be part of Visual Arts Society of Texas' 125-Mile Exhibition.